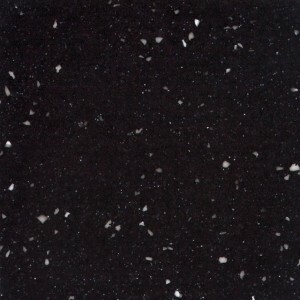 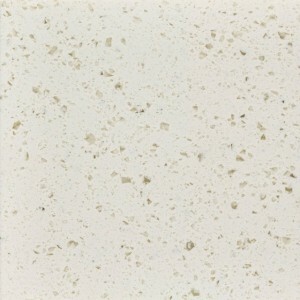 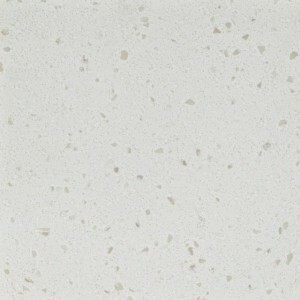 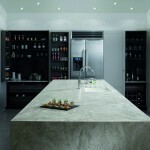 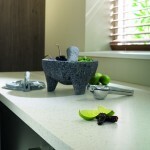 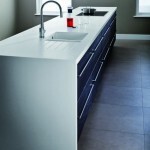 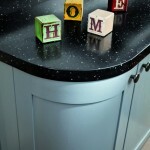 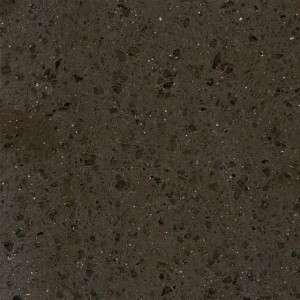 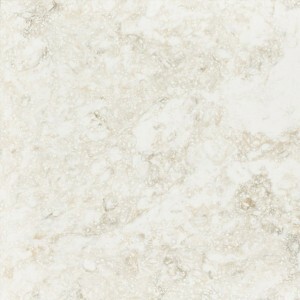 Encore solid surface worktops are beautifully practical and very tough. 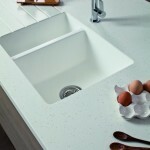 The hard, non-porous material gives you a lovely hygienic and easy to clean surface. 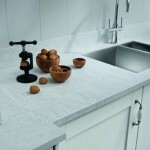 It copes easily with every day wear and tear, even in the busiest of kitchens. 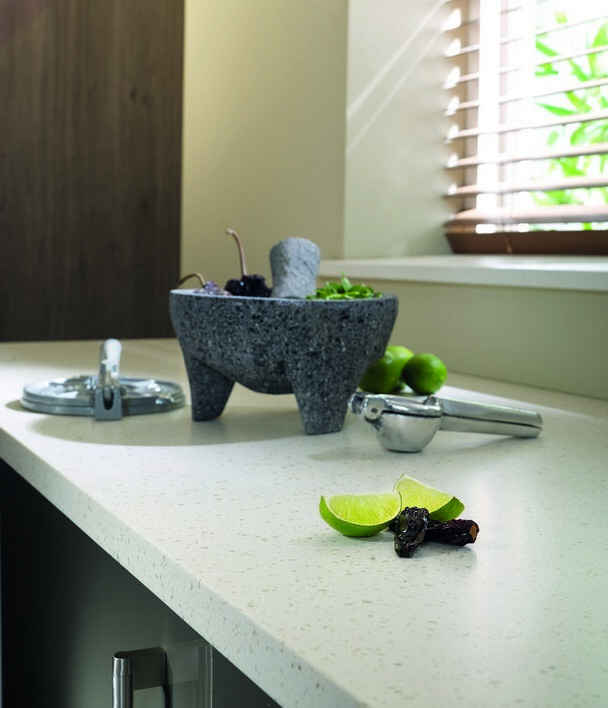 Encore is the solid surface product that gives you style and quality, whilst making your budget go so much further. 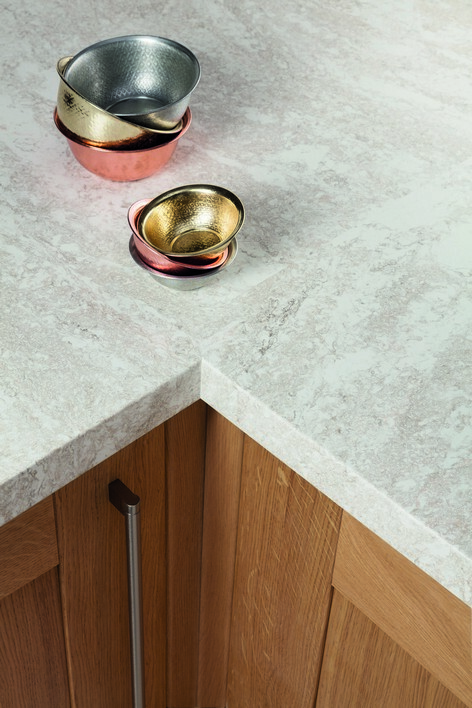 There is no expensive fabrication work off site, because the material can be shaped and tailored by your kitchen installer whilst on the project. 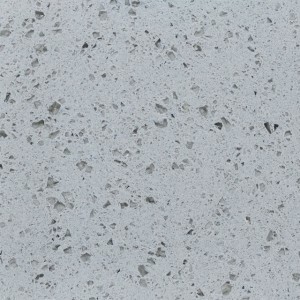 So there is no time delay for templating either. 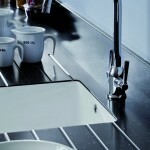 Just fast and easy installation which helps saves you money as well as disruption. 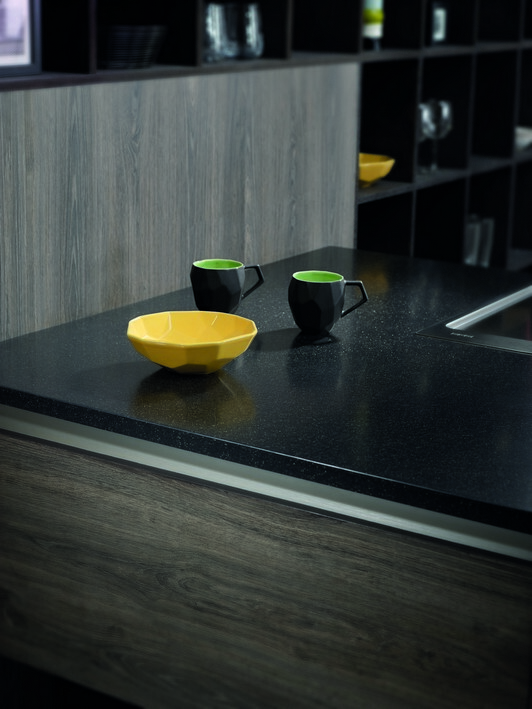 Encore worktops are 44mm thick solid surface worktops manufactured by Bushboard who are UK’s largest independent worktop manufacturer. 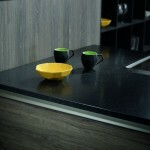 Limited colour range is also available in 27mm thickness. 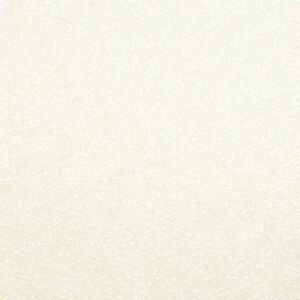 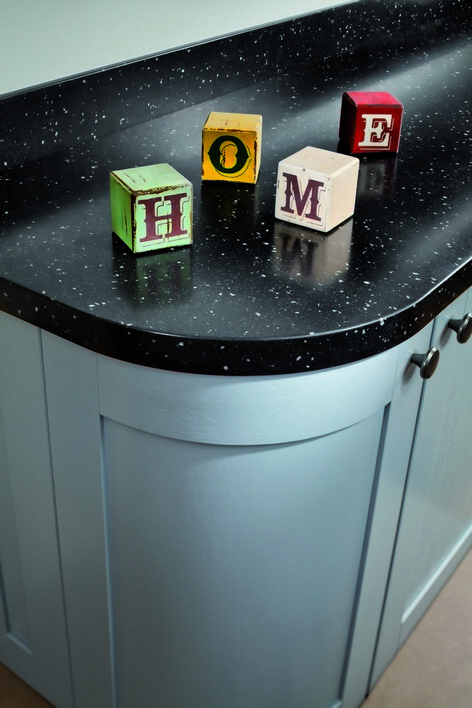 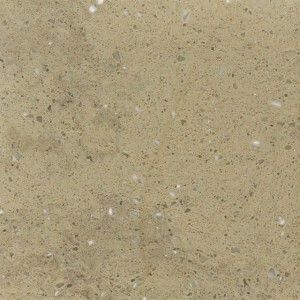 Encore worktops consist of 5mm layer of solid surface which sists on top of chipboard base. 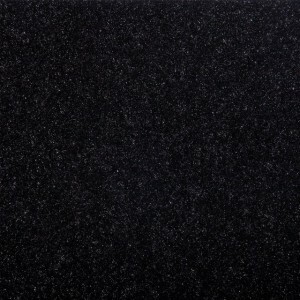 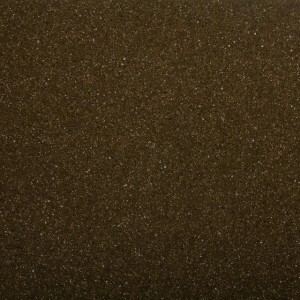 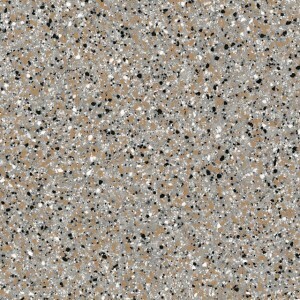 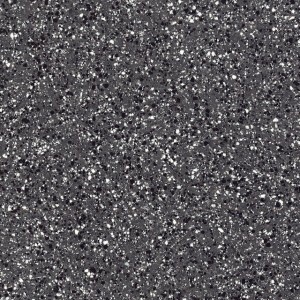 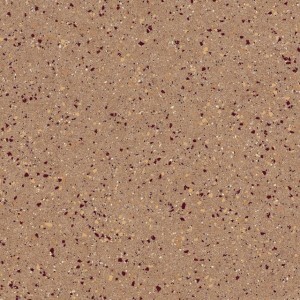 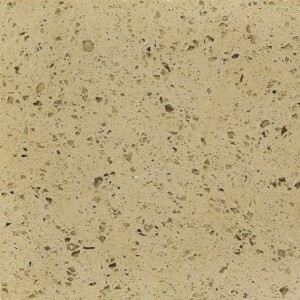 We supply 14 Encore exciting colour and designs. 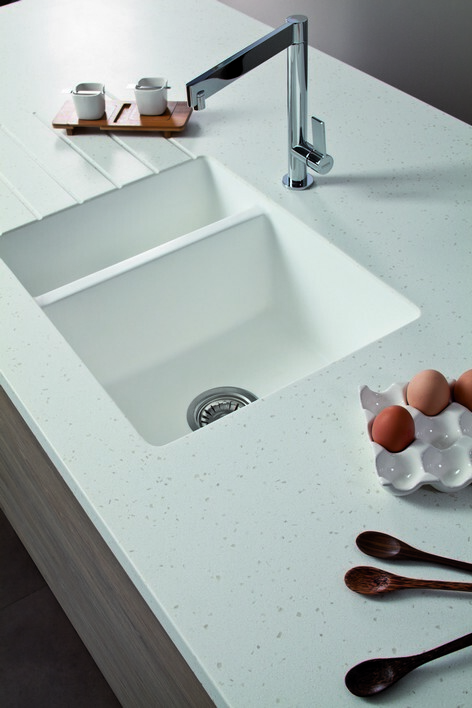 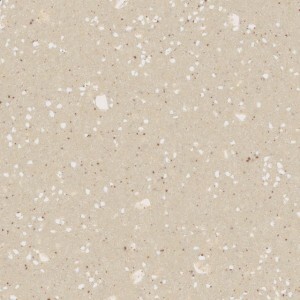 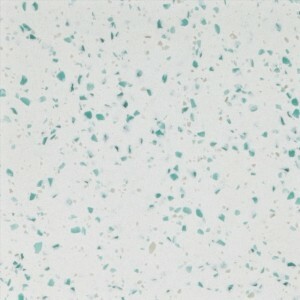 Encore worktops are available in 4.1m (worktops) length and 2.4m (breakfastbar) lengths. 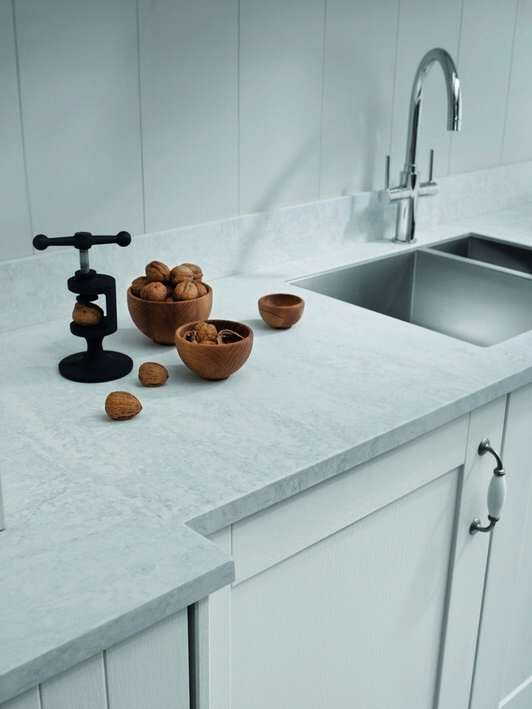 Encore solid surface worktops offer high impact resistance, heat tolerance and are considered as tough, durable and repairable kitchen worktop surface. 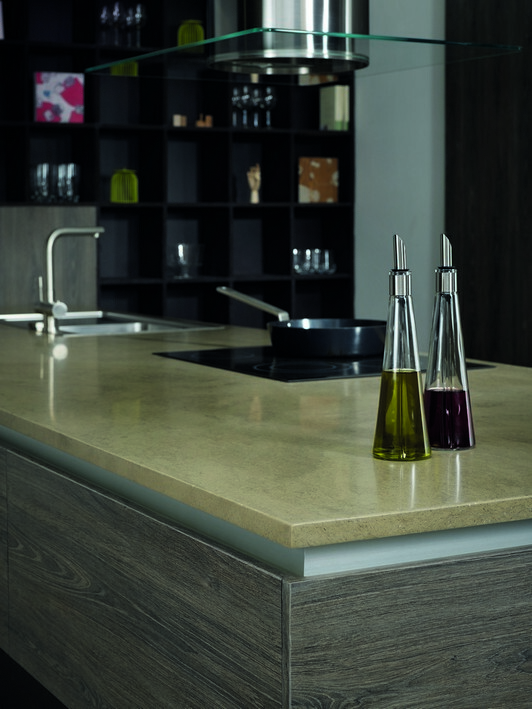 Choose below your desired Encore worktop design and colour. 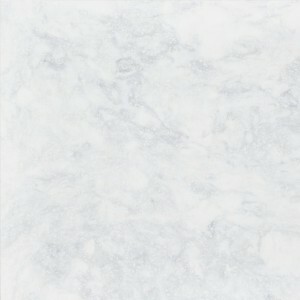 Make an elegant statement with a luxuriously marbled design. 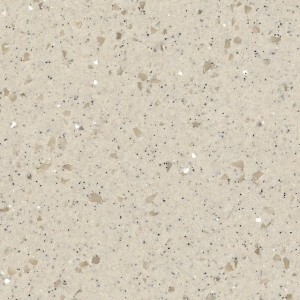 Mountain Haze, Ice and Mocha Stone are distinctive designs with large scale natural figuring that mirror the strata of granite and marble. 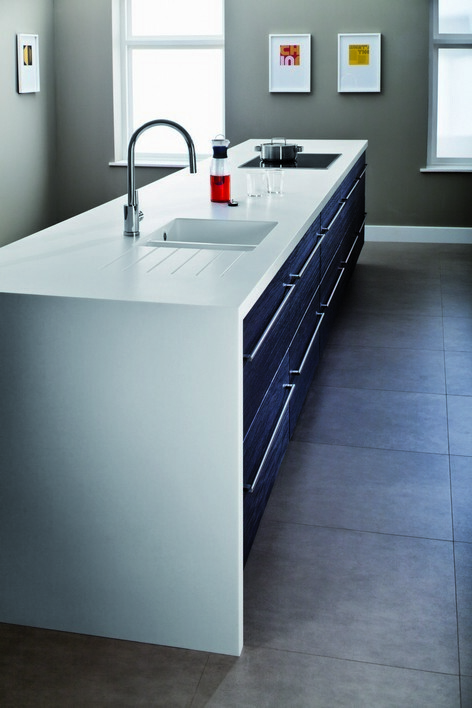 They are inspired by nature, whilst incorporating the functional qualities of solid surface. 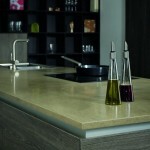 And they will work with any kitchen style from classic to contemporary. 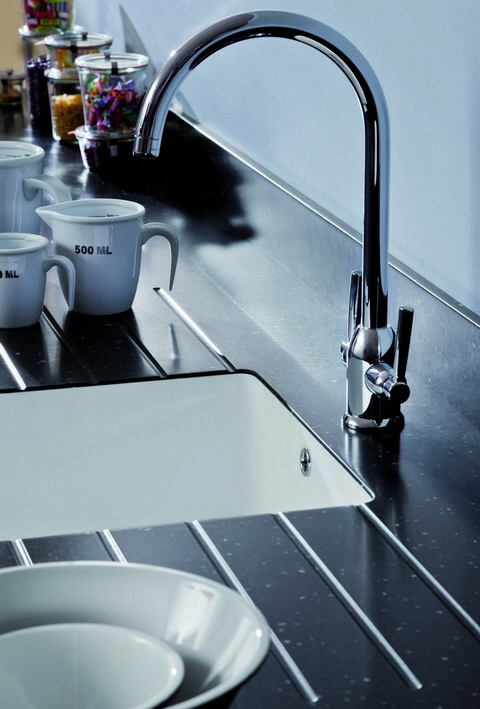 All are available in the new slimline 27mm thickness. 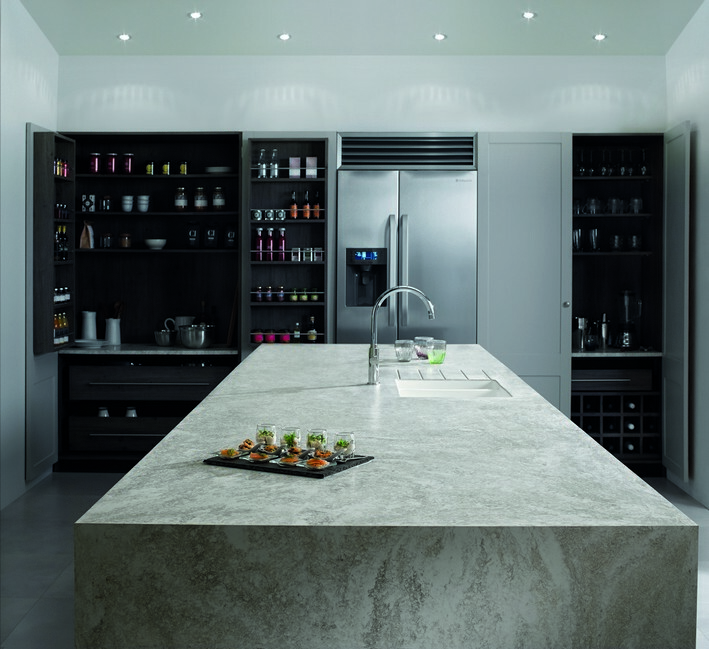 Plus we have added a new 1200 x 2400mm larger worksurface so you can have that impressive island unit you’ve always wanted. 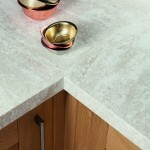 We provide full installation service for Encore worktops which we fabricate in house.